This week’s Photohunt theme is Miniature. This week’s theme was hard – extremely hard for me. No kids in the house so I couldn’t use a miniature toy theme. I looked around for some photos Madurodam – a miniature Dutch city theme park in Den Haag (The Hague) in Holland but I couldn’t find them. 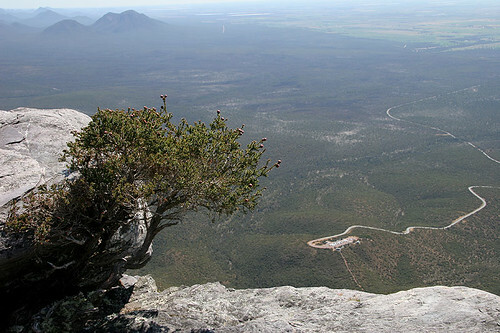 I decided to do a picture from the top of Bluff Knoll in Western Australia. I remember how small the parking lot looked from the top. We hiked to the top in October 2006. 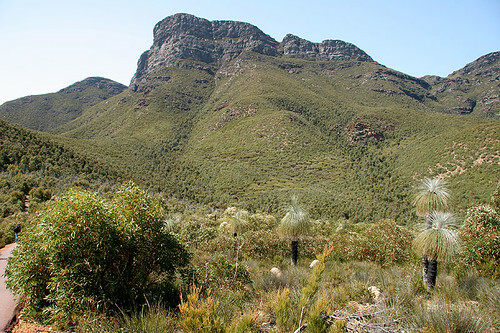 It is one of the highest peaks in Western Australia and a great hike. Here are scenes from our hike. It was a very hard theme and I love your take on it. Beautiful views and the parking lot does look so tiny from above. Hi Marta, great photos and a very creative choice for this week’s theme. Things do look very miniature from high up. That’s quite a hike! Kudos to you and G.
Perspective changes everything, doesn’t it? 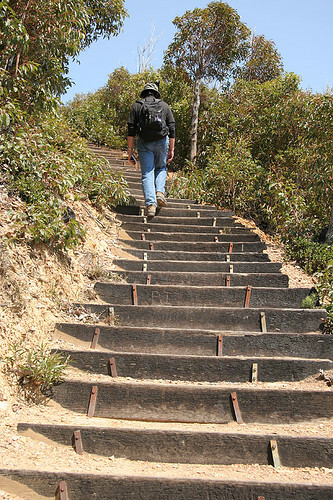 Looks like a very nice hike. what a beautiful place!! you’re lucky to be able to hike and explore it. great captures! It is either my old eyes, or not very awake this morning because at first, I thought that was the ocean down there..
What a great hike to go on. I love the scenery. The miniature perspective gained from above looking down is a great idea for the theme. Great idea for this week’s theme. 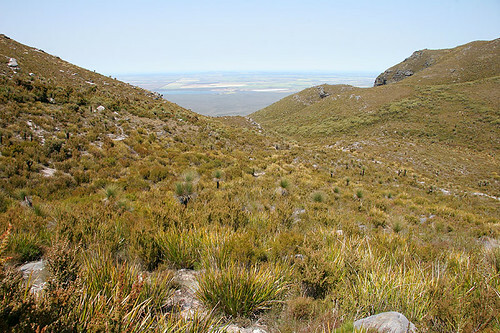 From your photos in all your blog entries, it’s understandable how beautiful this part of the country is – and you get to experience it with your love of hiking. Good idea!! I had a slightly different tack on the “miniature landscape” but I think yours would win by several hundred vertical metres. 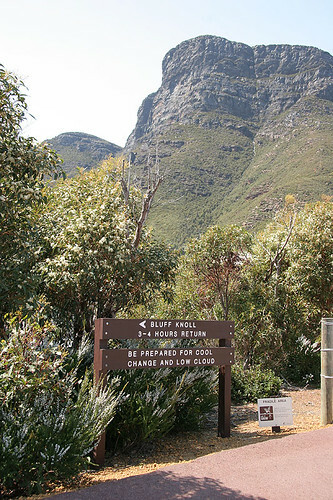 Where is Bluff Knoll? It looks like a good climb. It is funny how they warn you about cool temperatures at the trail head–not something I associate with Western Australia. 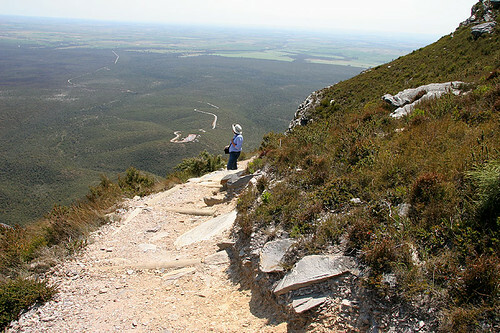 It is in Stirling National Park which is about an hour drive from Albany. 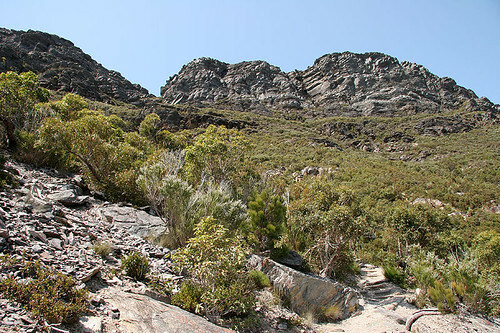 Porongurup National Park is also on the way. This area is beautiful.